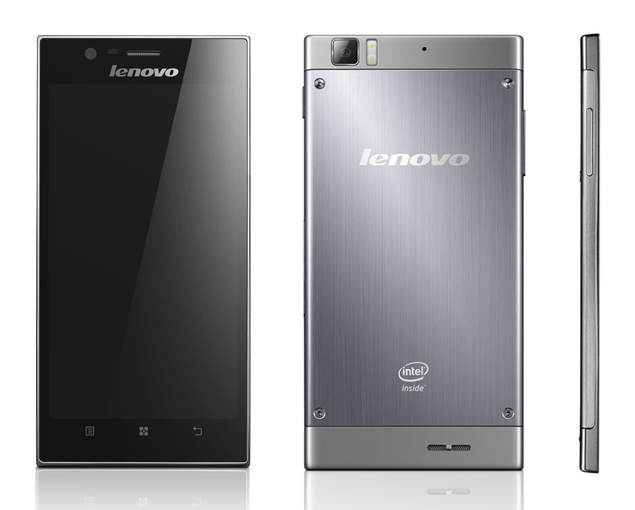 Lenovo, one of the biggest manufacturer and service provider in electronics industry has unveiled a new big screen Smartphone as,”Lenovo K900″ at CES 2013. It seems Lenovo do not want to remain behind and is looking to explore the evolving smartphone market and company is considering to make a serious notch in phablet territory. Lenovo K900 will sport an astonishing 5.5-inch full-HD IPS Touch Screen display with a poweful resolution of 1920 x 1080 pixels which gives you an impressive 400 pixels per density per inch. It is also encumbered with adorning Gorilla Glass 2 protection, which will prevent the screen from scratches or dent over the display. However inflicting a bit dimness towards it’s platform, this device will run on Android 4.1.2 (Jelly Bean) Operating System powered with dual core Z2580 Intel Atom processor, as of now, the CPU clock speed is not known and it can be expected to be between 1.5 to 1.8GHz. In terms of Dimension, company claims Lenovo K900 will be the one of the most thinnest phone in it’s class and though chalk up 6.9 mm and weigh approx 192 gms. Despite its slim profile, some of the company officials do specify,” that the smartphone is strong and sturdy unibody construction sporting a stainless steel and polycarbonate exterior”. Dealing towards Connectivity features, this device will support 2G Network (GSM 850 / 900 / 1800 / 1900), 3G Network with HSDPA, GPRS with EDGE Connectivity(HSPA+ Speed), Wi-Fi 802.11 a/b/g/n, dual band, Wi-Fi hotspot, Bluetooth with A2DP, USB microUSB v2.0. Breezing towards it’s Image Optics, the K900 comes with a mighty 13 MEGAPIXEL primary camera(autofocus, LED flash technology) which has been optimized with a new Sony Exmor BSI sensor, it is also built up with such a layout that does not extend from the case, leaving a clean, smooth rear face. Lenovo K900 equipped with an f1.8 focal length lens, making it the first smartphone to offer such a wide aperture on its camera. A 2 MEGAPIXEL front camera has also been widened to an 880 viewing angle, which is interesting to see in a smartphone with such widest camera making it more convenient self-portraits and video calls. Some of the pre-loaded applications may include: SNS integration, Active noise cancellation with dedicated mic, MP4/WMV/H.264/H.263 player, MP3/WAV/WMA/eAAC+ player, Organizer, Image/video editor, Document viewer, Google Search, Maps, Gmail, YouTube, Calendar, Google Talk, Voice memo/dial, Predictive text input. From, the storage point of view, this device will be offered with 2GB RAM and it will be equipped with 16GB of internal storage, shadowing towards battery it is expected with Li-Ion battery. However, no information about it’s pricing disclosed yet and it is expected to be available from April in China followed by India, Russia, Indonesia, Vietnam and Philippenes very soon. This pixels are too high for a 5.5 inches screen. I can imagine how pure and clear the picture quality would be. Surely going to buy it soon cause I’m also a part of canvas size lovers society.